(Click left image to enlarge). A new study by researchers at Cornell University examined the effects of Delaware's decision to transfer capital sentencing authority from the jury to the judge at trial. The study used data from capital cases between 1977 and 2007, during which time Delaware made the shift to judge sentencing--one of very few states to employ that procedure. According to the study, "Judges were significantly more likely to give a defendant the death sentence than were juries." During the era when Delaware relied on juries for sentencing, about 20% of capital cases resulted in death sentences. In the era when it relied solely on judges, 53% of the cases were given death sentences. Today, the state has a hybrid model in which a jury must unanimously find the existence of at least one aggravating factor beyond a reasonable doubt to make a case death eligible. The jury then makes a sentencing recommendation to the judge, which is given appropriate consideration. On September 24, Pennsylvania reached a new milestone with the 250th death-sentence reversal since the death penalty was reinstated in 1978. The state has imposed approximately 412 death sentences since reinstatement. Only three prisoners were executed, and all three waived at least part of their appeals. There have been no executions in Pennsylvania for 15 years. Over 60% of all death sentences imposed in the state have been overturned by state or federal courts; 190 prisoners remain on death row, and many of those are likely to have their cases reversed, too. If the pool of sentences is restricted to those that have completed all of their ordinary appeals, the state reversal rate has been over 90%. Michelle Tharp was the latest person to have her sentence overturned. Pennsylvania has sent seven women to death row; all but one have had their cases reversed. Alabama is the only state that in which judges regularly impose death sentences even after a jury recommends a life sentence. Death row inmate Courtney Lockhart has asked the Alabama Supreme Court to reconsider his sentence imposed as a result of this unique process. Lockhart was convicted of capital murder in 2010. The jury unanimously found that his post-traumatic stress disorder, resulting from his military service in Iraq, was sufficiently mitigating to recommend a sentence of life without parole. However, the presiding judge overrode this recommendation and sentenced Lockhart to death. In Alabama, one-fifth of death row inmates were sentenced to death over a jury's recommendation for life. A study by the Equal Justice Initiative found that "the proportion of death sentences imposed by override often is elevated in election years." Some elected judges touted their death penalty records in campaign ads. The practice of judicial override has contributed to Alabama having one of the highest per-capita death sentencing rates in the country. Bryan Stevenson (pictured), executive director of the Equal Justice Initiative, said he hoped that Lockhart's case will allow the Alabama Supreme Court to "reevaluate the propriety of judicial override." Delaware and Florida technically also allow judicial override, but neither state has had a judge use it in over 15 years. A recent op-ed by Jordan Steiker, endowed professor of law and Director of the Capital Punishment Center at the University of Texas, highlighted the declining use of the death penalty in that state. AlthoughTexas leads the nation in executions, death sentences and executions per year have dropped sharply since the 1990s. 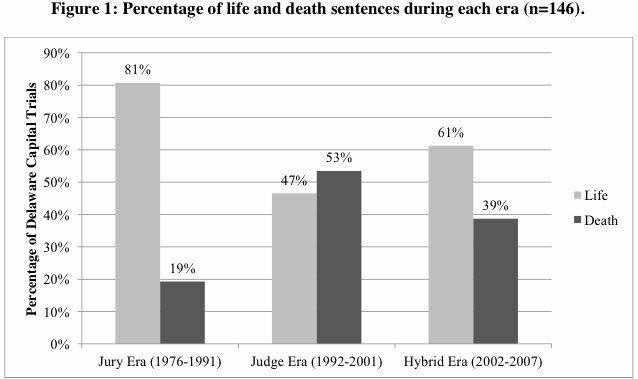 Prof. Steiker wrote, "In 1999, Texas juries returned an astounding 48 death sentences. 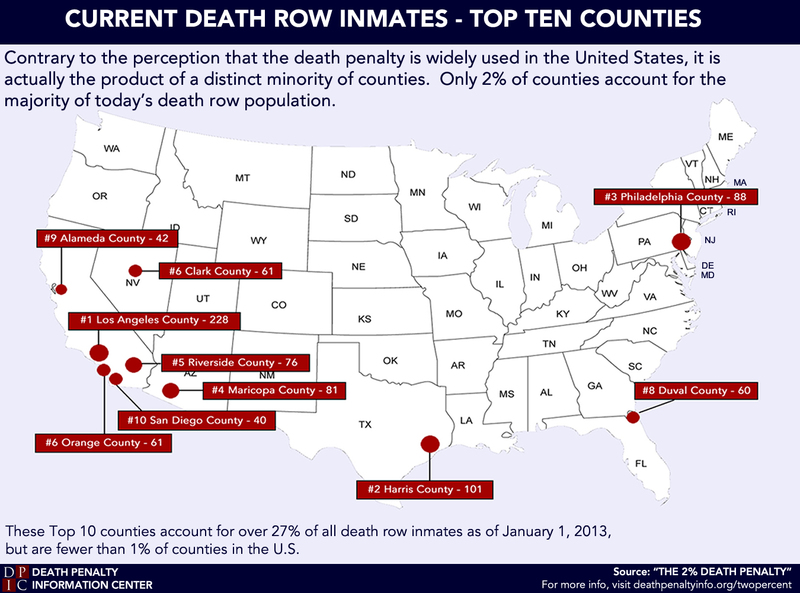 Since 2008, however, Texas has annually sent fewer than 10 defendants to death row. Executions in Texas have declined as well, from a high of 40 in 2000 to fewer than 20 since 2010." While describing the "perfect storm" of conditions that led to Texas's high use of capital punishment in the past, the op-ed also noted changes that have led to less death-penalty use, such as the creation of a statewide defender's office to represent death-sentenced inmates in state post-conviction and the broader disclosure of evidence to the accused. Prosecutors have increasingly accepted plea agreements to life imprisonment without possibility of parole, saving taxpayer dollars that would have been spent on expensive capital trials and appeals. NEW RESOURCES: BJS Releases "Capital Punishment, 2012"
The Bureau of Justice Statistics recently issued a new report, "Capital Punishment, 2012," analyzing the use of the death penalty in that year and revealing overall trends since the death penalty was reinstated. The report noted that 2012 was "the twelfth consecutive year in which the number of inmates under sentence of death decreased." Among the statistics not reported elsewhere, BJS noted that the time between sentencing and execution in 2012 was 15.8 years. The average time for all executions since 1976 was 11.3 years. The average age of those on death row at the end of 2012 was 46. About 90% of those on death row went no further than high school in their education. About one-third of those on death row had no prior felony convictions.